$1.00 off per container. Qt (fresh) & Half gal. (frozen) only. Will arrive FRESH from March-November. (Usually FROZEN from Dec to Feb). Loaded with Vitamin C, and VERY easy to digest. 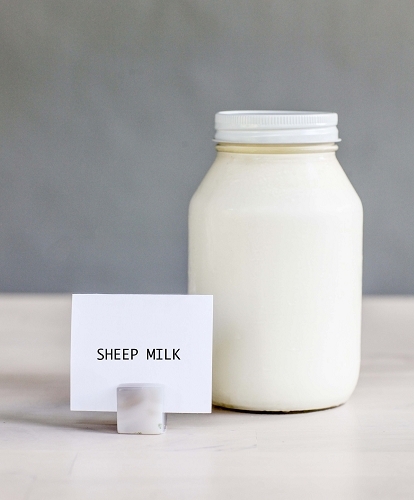 Sheep milk is known to digest in half the time than goat milk, so it's ideal with those who have trouble digesting dairy, or for very sensitive infants. Sheep milk is sweet and creamier than goat milk. Sheep milk is the ultimate dairy milk in my opinion. It is rich, sweet, creamy and easy to digest. I wish I could buy more of it. A must try!